Francis Bacon, in his ‘Essays of Revenge’ wrote, “Revenge is a kind of wild justice, which the more man’s nature runs to, the more ought law to weed it out”. 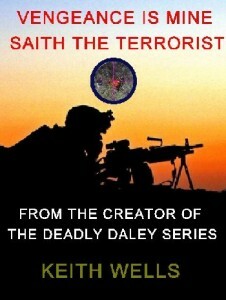 There is no small amount of revenge to be found in “Vengeance is mine saith the terrorist”. Too old to be in the front line of battle he must manipulate young minds to do his bidding; this he does with great success, drawing on the courage and resourcefulness of manhood in its prime, massaging youthful ego’s and reputations, and through leadership born of his experience in the passage of years and a ruthlessness emanating from his relentless ambition and egocentric self preservation. Maguire’s former associations with agents of the security services, corrupt police officers, the world of journalism, international terrorism and mercenaries are all exploited with sickening and murderous success. 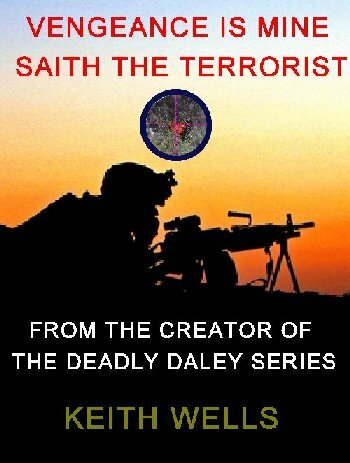 His ambition, to orchestrate an atrocity to rival 9/11 is so far advanced and the security services so mired in confusion by his tangled web of disinformation, nothing can stop it, except possibly his secondary ambition, to avenge the 1980 killing, by army sniper, of his protégé, James Curran. The intended victim, Inspector Sean Daley, may not be an easy target.